Learn how to find and retrieve archived email messages using GoDaddy's email archiving center. 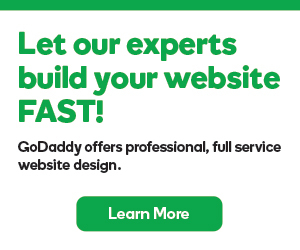 GoDaddy’s email archiving center provides an easy and secure way to preserve, protect, and retrieve your organization’s most sensitive communications data. Logging in for the first time provides users with the most pertinent data and features. Recent activity is highlighted with quick access to saved searches and exports ready for download. Additionally, statistics on communications data being collected in your archive is summarized. Once setup, the primary use of the web portal is to find and retrieve data. A new search can be initiated from the “start a new search” button in the “Recent searches” section of the landing page. Saved searches can also be accessed by either selecting the “view all searches” to its right or by navigating to the “Search” tab. Starting a new search provides you with several different types to search to allow you to find exactly what you’re looking for. A ‘Simple’ search allows you to search for basic keywords. A ‘Wizard’ search allows you to customize your search criteria with a greater degree of control over your search conditions. And finally, an ‘Advanced’ search allows for a similar degree of specificity in your search criteria calling out the most commonly searched criteria and conditions. For all search types, specific date ranges can be optionally added. Once you’ve defined your search criteria, reviewing your results and taking action is simple. You can quickly filter your result down or edit your search to hone into exactly what you’re looking for in your archive. Reviewing the individual results can also be done from this list. Individual emails can be downloaded, forwarded, or recovered to your inbox with the click of a button and the entire result set can be exported for external review should this be required. And you can always come back if you need to revisit the results. For more information, contextual tips and tricks can always be found on the right hand side of the application or by clicking “Help” in the upper right.